Barings has positioned itself to take advantage on the positive outlook for the energy sector and the resource equity market heading into 2017. Duncan Goodwin, head of Global Resources Equities at Barings, has reacted favourably on OPEC’s planned cuts and the opportunities in the oil market. He believes that the planned oil cutback should help rebalance the market and support investment opportunities for the future. "Positive" Draghi to give Riksbank a headache? “We expect shale producers and oil field service companies to continue benefiting and see an improved outlook for oil sands producers,” said Goodwin. “Our investment conviction reflects our expectation for an improvement in these segments and specifically for the names we hold. 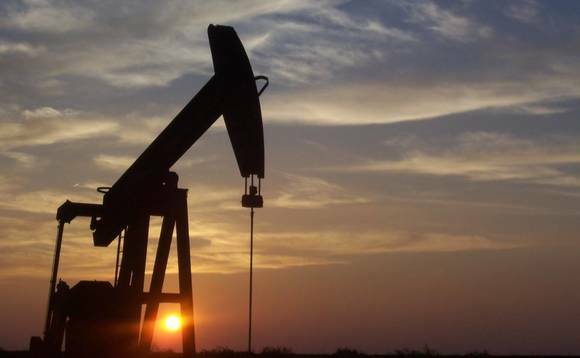 OPEC has confirmed plans to cut oil production by 4.5%, or 1.2 million barrels per day. Coming in at the larger end of September’s initial guidance, the decision is “significant”, he says, given that consensus among the organisation’s members has “historically been difficult”. “Although, of course, adherence to the cut is key,” he added. “The upbeat tone of commentators and OPEC members prior to the announcement had the desired effect of lifting the oil price above US$50 per barrel. OPEC’s decision further confirms the optimistic view that Barings has held for the sector over recent months. Following September’s OPEC meeting, Goodwin points that the firm spelled out its view that US shale producers and oil field service providers were key areas of opportunity with Shale producers benefitting as higher oil prices spur increased production further up the cost curve. In addition to the improved outlook for shale, rebalancing in the oil markets should help to reduce risk and underpin firmer valuations in Canadian oil sands production, an area hard hit by depressed prices over the past two years where Goodwin says he can see “compelling valuations”. “Here, we would highlight Suncor Energy, the integrated oil company active in the development of the Athabasca oil sands, which we believe is well positioned for any further upturn in the oil market,” he said. “Despite past difficulties for oil sands producers, in our view the company is financially strong with a healthy balance sheet, an excellent earnings outlook and management that we consider to be best in class. “In summary, we see every reason for investors to be positive on the outlook for the energy sector and the resource equity market heading into 2017. OPEC’s planned cuts should provide further support to prices and assist a rebalancing in the oil market, in line with our expectations,” he added.